As traveling parents, we need to have our hands free to hold other hands, take pictures, carry tickets, and deal with whatever else comes our way. We also need a place to carry everything the family needs for a day out, whether we’re exploring a city or traipsing through an amusement park. Backpacks are great for carrying a lot of stuff, but they’re also hard to get into without stopping and taking them off. Not only that, but backpacks can be a target for pickpockets and thieves. The crossbody bag is perfect for travel because it stays securely on your shoulder, provides you easy access to your belongings, and can be kept safely by your side. Not all crossbody bags are ideal for travel, but these options are mom-recommended. Catherine D’Cruz from We Go with Kids recommends the Travelon Messenger Bag. This bag keeps valuables safe with locking zippers, slash-resistant fabric and straps, and a RFID-blocking compartment. There are multiple pockets for easy organization and finding what you need on the go. While not ultra-fashionable, its simple design works well with most day outfits, and it’s budget-friendly! Eileen Gunn from Families Go Travel likes the Eddie Bauer Connect Tech Bag. This unisex cross-body bag has a simple design that can be carried by anyone in the family. The lightweight design means that it can hold quite a bit without getting too bulky. Plus, the front flap provides extra protection against pickpockets. When you want to ditch the “mom purse” and go with something fashion-forward, the Rebecca Minkoff Jean Leather Crossbody Bag does the trick. Perfect for dinners out, the metal hardware ring secures the flap and the chain strap adds edgy style. Dominique Matthews from The Simple Proof swears by her Gootium Canvas Messenger Bag. This canvas, military-style satchel holds a lot for a large family on the go, with a big central compartment and front pockets to keep often-needed items at hand. The material is washable and durable; plus, it won’t break the bank. Kirsten Maxwell from Kids are a Trip carts her Pacsafe Daysafe Crossbody Bag around Europe. The bag is a bit bulky, but holds a lot (there’s also a slim version) and has great anti-theft features, including slash-proof material, a security hooking system, and RFID-safe blocking pockets. There are plenty of pockets for organizing, and best of all, this bag includes a water bottle pocket. 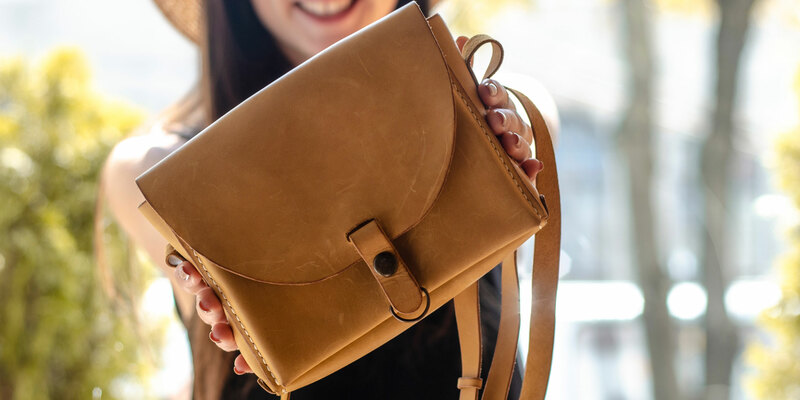 If you’re looking for something a little smaller and sleeker, the Hedgren Eye Crossbody Bag is a perfect fit. With an adjustable strap, zippered pockets, and RFID-blocking removable pouch, this bag is perfect for a night out when you don’t have much to carry. When you need size, but don’t want to sacrifice style, the Vince Camuto Leather Crossbody Bag offers both. With a central pocket large enough to stash a camera, this works as a day bag. But the smooth leather makes it nice enough to use in the evening as well. Kipling bags are durable and fun, and they come in all sizes and styles. The Rosita Crossbody Bag is especially perfect for a day out, with a large enough storage section to store a DSLR camera. It also has a safety key clasp and two zip pockets. The neutral colors and fabrics work with all seasons for a year-round travel bag. Family Vacation Critic is a participant in the Amazon Services LLC Associates Program, an affiliate advertising program designed to provide a means for sites to earn advertising fees by advertising and linking to Amazon.com. Some of the recommended products in this article have been provided for review.